During a recent event at SM Mall of Asia, industry leaders SM Supermalls and LG Electronics announced their partnership which aims to bring Filipinos closer to the world’s best brands in select malls nationwide. Unveiling SM’s Home of Global Brands campaign, LG reintroduced its premium product line to the Philippine market through its “Innovation for a Better Life” exhibit. 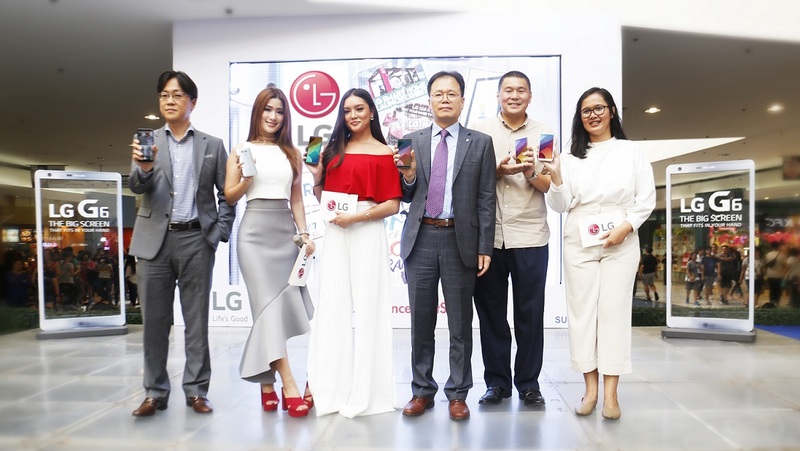 (L-R): LG Mobile Philippines VP Jay Won, social media personality and program host Janeena Chan, LG Mobile Philippines brand ambassador Lauren Reid, LG Philippines Managing Director Inkwun Heo, SM Supermalls Marketing SVP Jonjon San Agustin and LG Mobile Product Manager Faith Mijares. Kicking off in a four-day roadshow at SM Mall of Asia, the exhibit let consumers experience first-hand some of LG’s top-of-the-line products like the 65-inch OLED TV, the multidimensional surround sound bar, the flagship G6 smartphone, the InstaView Door-in-DoorTM refrigerator, the TurboWashTM front-load washer-dryer and the Smart Inverter Mosquito Away air conditioner. They were also given the chance to take home some of the coveted products during the exciting on-ground raffle activities. Through SM Supermalls’ partnership with global brands like LG, customers will be treated to world-class and innovative activities that will allow them to experience the same level of excitement as how the best global brands are felt and brought to life abroad. The LG and SM collaboration will roll out its succeeding legs at SM North EDSA, SM City Seaside Cebu, and SM Lanang Premier in Davao.